Devil's grass is otherwise known as Cynodon dactylon in scientific terms. It goes by many names, but the most common is Bermuda Grass. This plant is listed as a weed by the USDA and is considered a noxious weed in three states. It is a challenge to remove from your lawn, but with a little persistence, it can be accomplished. 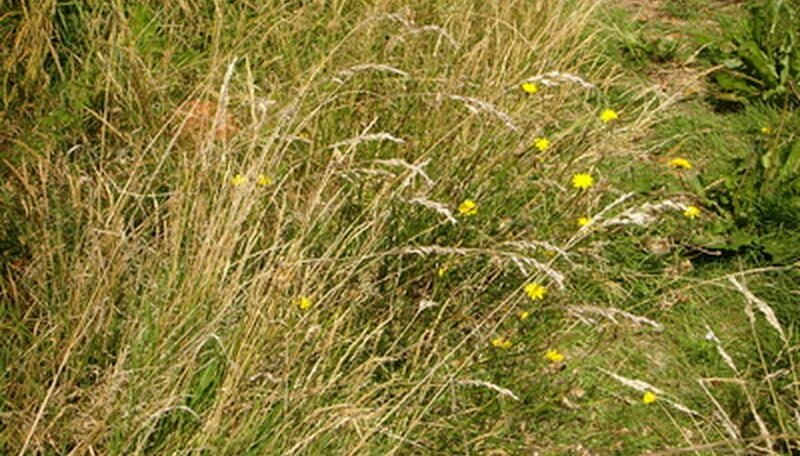 Spray the devil's grass plant with a glyphosate herbicide, aiming directly at the plant with as little overspray as possible. Follow the manufacturer's label for dosage and application. Allow a few days for the herbicide to work. Sprinkle grass seed onto the spots in the lawn where the grass has yellowed from the herbicide and dead devil's grass. Leave the old devil's grass in place to serve as a mulch for the new grass seedlings. The newly planted grass should fill in the areas within two to three weeks. Check the lawn periodically to make sure that none of the devil's grass returns. Spray again if needed. Hand pull sections of unwanted windmill grass from your lawn or garden. Dispose of unwanted windmill grass into a plastic trash bag or compost bin. Spread sheets of old newspaper over the remaining patches of windmill grass in your lawn or garden. 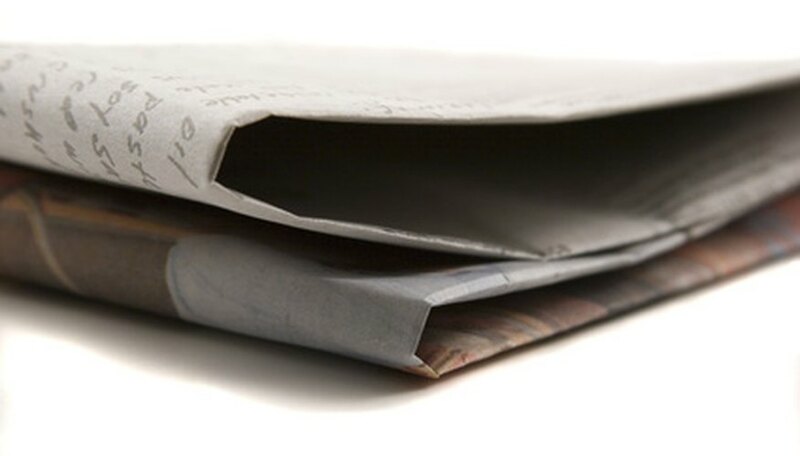 Weigh down the newspaper with bricks or other heavy objects and leave in place for two weeks. Remove the newspapers and spot check the areas to ensure no new windmill grass has grow in its place. Hand pull any new growth and spot check the areas weekly to keep windmill grass from creeping back into your lawn or garden. Keep couch grass mowed so it cannot seed. However, frequent mowing will not kill couch grass, as it can still spread by underground rhizomes. Talk to your local nursery or home improvement center about a weed-specific herbicide designed to kill couch grass but not other plants you have. Spray the herbicide on a windless day and do not spray if rain is forecast within 24 hours. Use a broad-spectrum herbicide such as Roundup if the selective herbicide fails to kill the couch grass. Be as selective as possible when spraying any herbicide containing glyphosate, as the chemical will kill virtually all plants it touches, not just couch grass. Spray when there is no wind and do not spray if rain is predicted within 12 hours. Choose a place to plant the prairie grass. It needs full sun and well-drained soil. Clear the site for planting the prairie grass. Remove any weeds or rocks from the area with the rake and turn over the land with the till. Add 4 to 5 inches of compost to the soil and work it into a depth of 6 to 8 inches to improve your soil’s condition for the prairie grass. Moisten the soil before you plant the prairie grass. Mix 30 to 35 pounds of prairie grass seed per acre with 2 to 4 pounds of soil. Broadcast the prairie grass seed onto the prepared site with your hands or a seeder. Cover the seeds with ¼ inch of soil and water the land until it is moist but not soaking. Fill a clean, empty spray bottle with vinegar. A normal 5 percent white vinegar is all that is necessary. 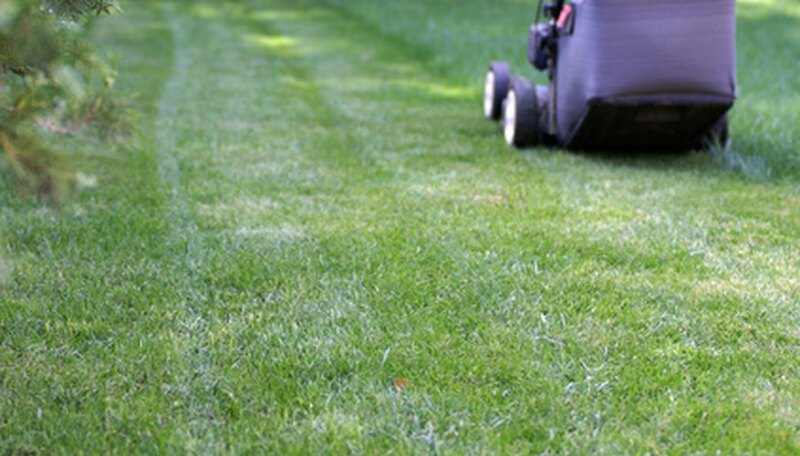 Spray the unwanted grass until the blades are completely covered in a layer of vinegar. The acid in the vinegar will kill the grass and any other weeds it comes in contact with. Repeat the process one week later if the grass did not die with the first application or if new grass starts to grow. Flame grass foliage forms a shrub clump with long, green leaves that turn orange or purple in autumn. The late summer flowers open as 8- to 10-inch pink-white plumes that turn silver and last through winter. Flame grass is winter-hardy, growing in zones 4 through 9, tolerating temperatures as low as minus 30 degrees Fahrenheit. Plant flame grass in full sun and well-drained soil, with plants about 4 feet apart. Garden centers offer established plants ready for specimen planting. Mature plants are divided in spring, using a shovel or spade to separate a clump of grass and attached roots. Plant in organic-enriched soil, firming soil over the plant roots up to the crown. Flame grass functions as landscape screen, specimen and accent clumping grass. It can be mass-planted for erosion control. This ornamental grows in containers or above-ground planters and needs little care except for occasional watering and a spring trim to remove old foliage and flowers. The silver plume flowers are dried for flower arrangements. Spray or sprinkle a liquid or granular postemergent, grass-selective herbicide on the offending grass, following the manufacturer's instructions. Use a spray bottle to wash of any herbicide that may have inadvertently been sprayed on your shrubs or garden plants. The grass herbicide may not kill your other plants, but it may turn their foliage brown, especially if temperatures are high. Respray the grass as needed, at the intervals prescribed by the herbicide's manufacturer. Fill a spray bottle with full-strength white vinegar if you choose to spray the grass. Pouring the white vinegar directly on the grass is also a suitable application method. Spray or pour the white vinegar directly onto the unwanted grass. Ensure the white vinegar penetrates down into the grass roots and the soil surrounding the grass. Reapply the white vinegar after two or three days if any grass remains. You should see the grass wither and die within 24 to 48 hours. Mow the stands of Johnson grass as short as possible with a mower, and keep them mowed short. This will place stress on the rooting rhizomes. Mix the herbicide glyphosate, following the label directions pertaining to the specific plant species. Various herbicides contain different strengths of the chemical. Spray on all sides of the Johnson grass plant approximately one week after mowing. New grass blades will emerge after mowing the plant in approximately one week. Apply the herbicide to the Johnson plant only, using short spurts of chemical from the sprayer. Over spray from the chemical will damage and kill other green plants. Wait two weeks. Inspect the plants for visible signs of browning on the leaves. Apply another herbicidal treatment to any plants that show signs of growth. According to the University of Illinois, it may take up to two years to fully eradicate the plant, as seed from previous Johnson grass plants will germinate. Mix a solution of 1 part salt and 2 parts water. Pour this water over the grass. Grass will turn brown and die as it takes sodium up through the roots. Mix a solution of vinegar and dish soap and pour over grass to kill it. Pour boiling water over undesirable grass. This will temporarily boil grass. However, unless you remove the roots, grass will eventually grow back. Break up ground with a garden rake and pull the roots of grass out of the ground. This method is known as grubbing. Spread three to four layers of newspaper over grass. Wet newspaper with a garden hose, and cover with mulch. This will smother grass and allow you to plant whatever you want in its place. Mow grass low to the ground. Cover with black landscaping plastic. This will kill grass by blocking air and light from getting to the grass. Mow the lawn as short as possible. In areas where the mower can't reach (such as along fences and buildings), use a weed eater. It's essential to get the grass cut short and even, so that the newspaper or plastic will lay flat. Lay newspaper over the grass that you want to kill. Use layers that are at least 10 to 12 layers thick. Overlap the sheets by 4 to 6 inches to prevent sunlight from reaching the grass through any cracks. Lay bricks or stones on edges and corners of the newspaper to hold it down. Use as many as possible to ensure that the newspaper will stay down. If you run out of stones or bricks, use anything in your yard that is heavy enough to weigh down the newspaper (such as flower pots, sprinklers, etc). Wet the newspaper thoroughly, using a water hose. Wait two months for the grass to die back under the newspaper. 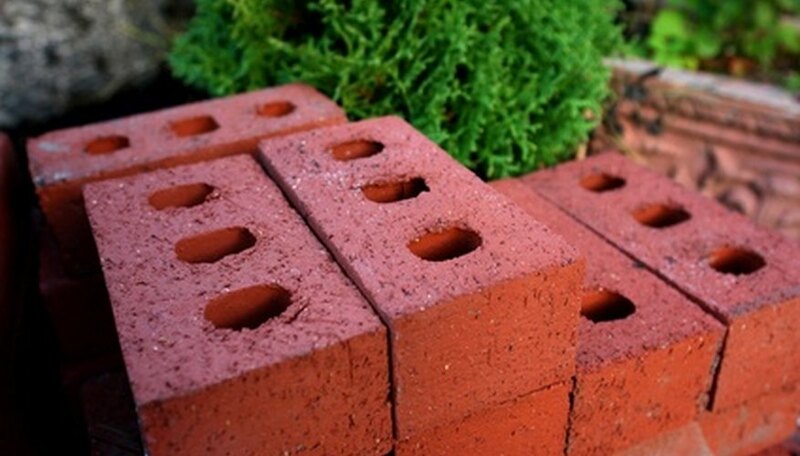 If you don't want to wait two months, you can substitute mulch, compost or gravel for the bricks and stones. Completely cover the newspaper with a 4-inch deep layer of mulch, compost or gravel and plant your xeriscaping plants by cutting very small slits into the newspaper.